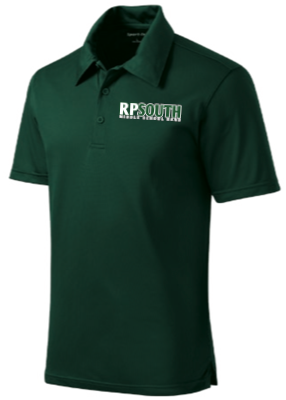 If you are in 6th grade, new to the band program, or need a replacement shirt, please fill out the form below to select your child's shirt size. Sizing info can be found on the right. Students who have the black and white band shirt from past years will continue using that polo. If you need a replacement, please fill out this form. Shirts are $17 each and you should make checks payable to South Middle School. You can also pay online.